Barter Books : Barnes, F A [compiler and ed.] 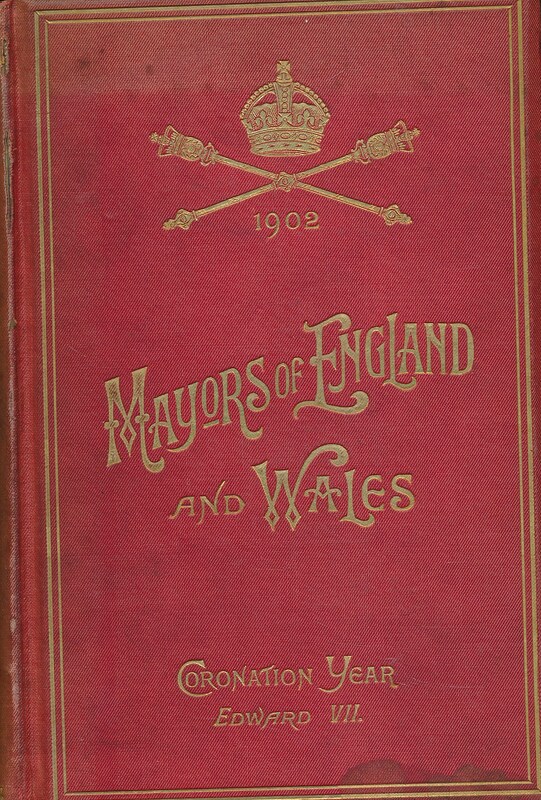 : The Mayors of England & Wales [With Portraits of Mayors and Mayoresses]. 1902. 220 x 140 mm (9 x 6 inches) - 632pp. Red hardback cloth cover with bevelled edges. G : in Good condition without dust jacket. Cover rubbed and marked. Spine darkened with some joint and end wear. Ex.-lib. Contents bright. Aeg. Gives individual one page individual biographies with photographs. Also information on the size of the borough, population and rateable value.